In our first episode, we discussed different powerlifting federations you can compete in. This week we’ll explore the equipment available to athletes in each of those federations. Raw powerlifting refers to lifts performed without the use of supportive suits and shirts. What constitutes ‘raw powerlifting’ varies from federation to federation which I’ll explain more below. This style of lifting is often more accessible to beginners. Equipped powerlifting is a category of lifting which uses supportive equipment. Within equipped powerlifting there are single-ply and multi-ply suits and shirts. This supportive equipment will aid the lifter in moving more weight – if the lifter can master the necessary techniques to use said equipment properly! 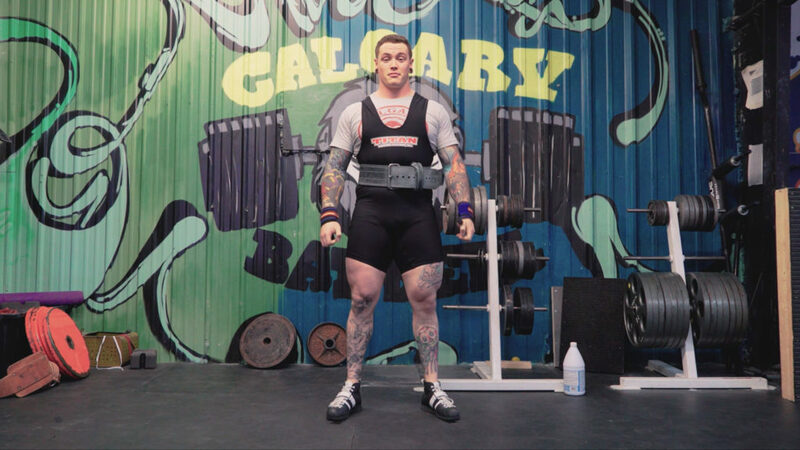 The IPF’s raw division is called “Classic”, and constitutes the use of a “non-supportive suit” – or singlet, a T-shirt made of non-supportive material, legless underwear, socks, a lifting belt, shoes or boots, knee sleeves (not knee wraps! ), and wrist wraps. For the IPF, ‘Equipped’ lifting is the use of single-ply supportive suits for the squat and deadlift, knee wraps for the squat, and a single-ply supportive shirt for the bench press. (all sourced from IPF Technical Rule Book 2017). In the 100% RAW Federation, they only allow the use of a non-supportive suit or singlet, a lifting belt, and wrist wraps. 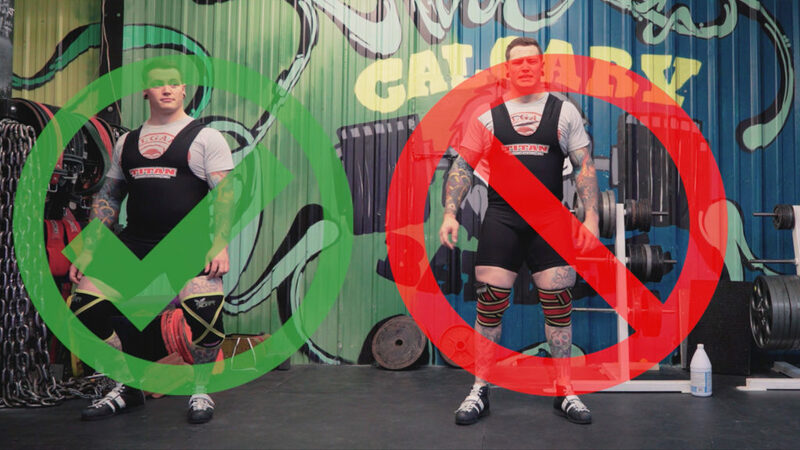 The rulebook states that a lifter cannot use “elbow sleeves, knee wraps, knee sleeves, tape applied around a limb or finger, supportive lifting suit, supportive briefs, compression shorts, supportive shirts or compression shirts”. As implied by the name of the federation, 100% RAW does not have an Equipped lifting category. The IPL has a number of divisions, which include; ‘raw’ to the same rules as the IPF’s ‘Classic’ division, as well as ‘Classic Raw’ which allows the use of knee wraps in addition to the usual singlet, belt, and wrist wraps. The IPA, GPC, SPF, and others have a ‘Multi-Ply Equipped’ division where the use of multi-ply suits is allowed. The biggest difference between multi-ply and single-ply equipment is the number of layers of material used. Multi-ply equipment is generally more supportive and lifters using it often handle larger loads. The biggest single ply squat in IPF history is 505kg, while the biggest multi-ply squat is 575kg. (as of June 2017). It is worth noting that multi-ply meets allow the use of briefs that lifters wear under their squat and deadlift suits for added support. All federations will have specifications for the equipment that is useable in competition in a given division. If you’re curious, just check their rule-book. For example, the IPF only allows certain brands who have paid to be ‘approved’ on the platform at higher level meets – usually National level and up. Up next week, we’ll talk about some of the information you’ll need to know to register for your first powerlifting meet!